Estate planning structures current and projected assets for future allocation and disposal. It eliminates the uncertainties over probate and maximizes the value of a families' or individual's estate. Having one helps reduce taxes and other expenses. The estate covers all the things a person owns - a car, home, another real estate, checking and savings accounts, investments, life insurance, furniture, personal possessions, even pets. Estate planning includes a will, trusts, beneficiary names, powers of appointment, a person writing the will selects a person (agent) to distribute the property under the will. An estate plan also includes several components: Will, Medical Power of Attorney, Financial Power of Attorney, and Advanced Healthcare Directives. The POA documents allow an individual to decide in advance whom they trust and want to act on their behalf if they become incapable of making decisions. The selected person to act on behalf of the individual is the agent. Next, a person must distinguish between a medical and financial POA. A medical POA is a legal form and called a health care directive or health care proxy that oversees your wishes for health care. It gives a trustworthy friend or family member (the agent) the ability to make decisions about the care the individual receives if one becomes incapacitated. A financial POA is a legal form that gives the assigned agent the authority to handle financial transactions on an individual's behalf. It is common to appoint one person to act as an agent for both financial and healthcare decisions, but in some cases, separate the two. What medical care the individual receives at the hospital, the surgery, medical treatment, home health care, etc. The choice of doctors and care providers. The location where the individual lives regarding residential long-term care. However, the individual must be able to afford these arrangements and the financial POA must approve these costs. What food and nourishment the individual eats. Who tends to activities of daily living. Has access to the financial accounts and pays housing, care costs, and bills. Collects debts, manage property, applies for public benefits such as Medicaid, etc. Break the fiduciary duty to act in the best interest. Make decisions on behalf of the principal after their death. Transfer POA responsibilities, but the agent has the right to decline their appointment at any time. 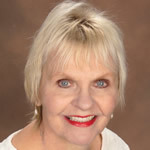 Carol Marak, aging advocate, Seniorcare.com. She's earned a Certificate in the Fundamentals of Gerontology from UC Davis, School of Gerontology. Sign up for my newsletter - send an email to Carol@Seniorcare.com and write "sign me up" in the subject line.